Stage 18 covered 1865 KM and included seven categorized climbs, included the Hors Categorie Col du Glandon and the shoelace like Lacets de Montvernier. 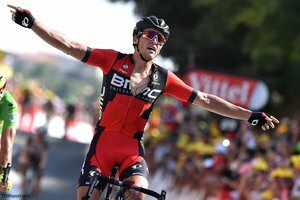 This is the highest number of climbs in any one stage of this year’s Tour. Over a distance of 161KM and with five categorized climbs, the 17th stage of the Tour de France is no easy day in the saddle. 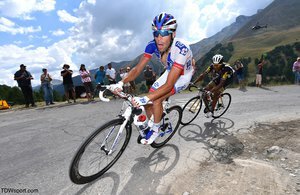 Today we have the opportunity to look at the file of Thibaut Pinot (Francaise de Jeux), who finished fourth on the stage. To earn this result, Pinot averaged 291w for over four hours and twenty two minutes of racing (an average of 4.61w/kg based on a weight of 63kg). This is an exceptional power output for such a long period of time. Stage 16 was one of this year’s longest at 201KM, finishing in Gap. The stage had significant cumulative altitude gain, which allowed a breakaway of riders who were not threats to the general classification gain a large lead. Among them was Trek Factory Racing rider Markel Irizar (Spain). The 72.5kg, 180cm tall rider infiltrated the escape, which swelled to 24 riders in size, early in the stage. 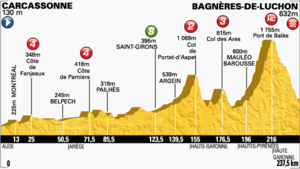 This stage preceded the second rest day of the Tour and thus was sure to be fiercely contested. Peter Sagan was seeking an elusive stage win and single handedly chased any rider who attempted to separate from the break, which meant the pace was consistently high all day. With only two categorized climbs (the Col de Cabre and the Col de Manse, both category two ascents), initially the profile looks relatively benign. However, the cumulative altitude gain for the day is nearly 3000 meters, as the day began in Bourg de Péage at 157m and finished in Gap at 745m. 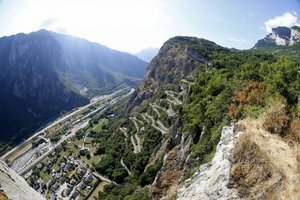 The course also includes the infamous descent off the Col de Manse that ended the racing career of Joseba Beloki at the 2009 Tour with a crash.